After a ten-year absence, tench have returned to Timaru’s Centennial Park Lake, offering anglers a challenging new fishing opportunity. In March, 50 adult tench (scientific name Tinca tinca) were released into Centennial Park Lake by Central South Island Fish & Game Staff and will once again provide an easy access but challenging fishing option in the heart of Timaru. Fish & Game Officer Hamish Stevens is thrilled to re-establish the tench fishery. “Although tench have been a part of the New Zealand sport’s fishery since 1868, very few anglers have seen one, let alone caught one,” Hamish Stevens says. “I hope the re-introduction of tench to this easy access, park setting, will enable a valued fishery to develop and provide a new opportunity for anglers in the Central South Island Region.” Tench were once present in the lake but were removed along with all other fish species after the discovery of rudd, a noxious pest fish. 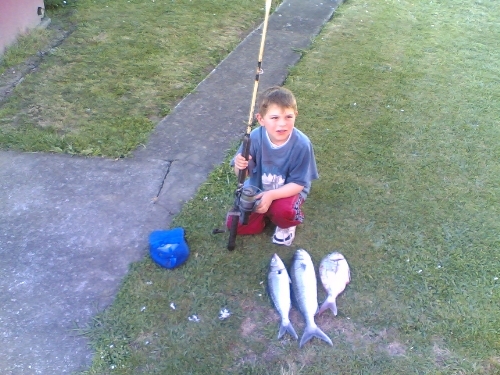 Coarse fishing for tench is limited to a few waterways in the South Island, most notably Island Stream, a tributary of the Kakanui River in North Otago, and Lake Roto Kohatu in Christchurch. Although tench are present in Timaru’s Saltwater Creek, the waterway is favoured for its perch fishing. Hamish Stevens says they offer a real challenge. Fishing for tench, perch, trout and salmon requires a sports fishing licence and anglers must abide by the current season’s sports fishing regulations.